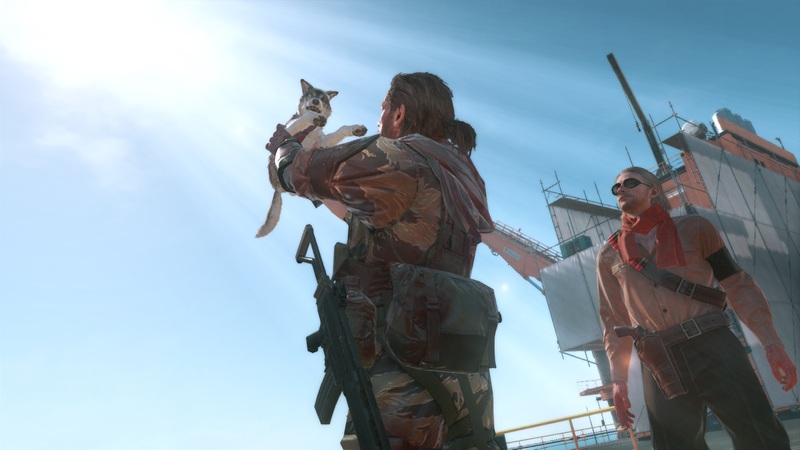 Hideo Kojima’s Konami swansong is a strange beast of a game. 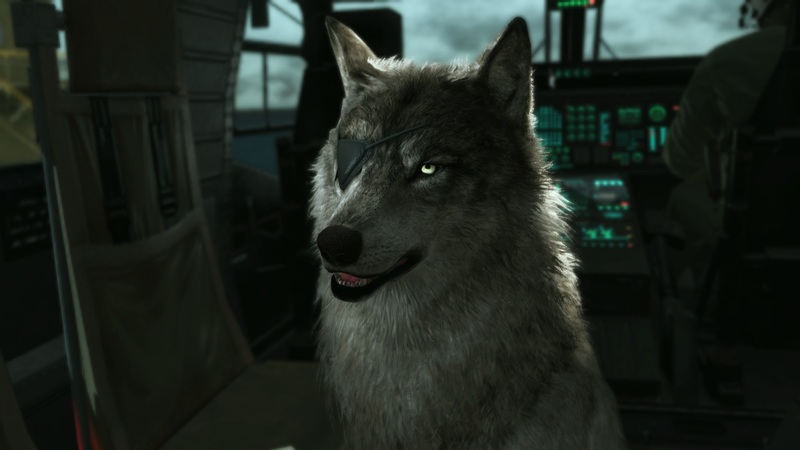 Not only is it the most expansive and complete Metal Gear title to be released but the dramas surrounding its development may have also resulted in it also having some of the roughest edges in the series. In a franchise famous for being convoluted and unpredictable, it seems apt that this game might be the biggest example of it. Metal Gear Solid V: The Phantom Pain is set after the events of the prologue game Metal Gear Solid V: Ground Zeros. 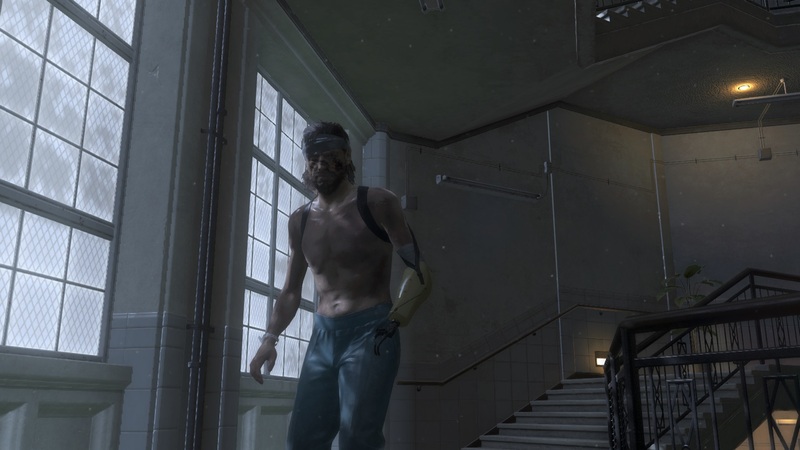 The deadly attack on Mother Base effectively wiped out all of Snake’s organisation and you wake up in a hospital bed nine years later and looking much worse for wear. The opening of the game is perhaps the one single linear moment you’ll find for a good part of your time in the game as it sets up your situation. There’s some fairly brutal moments in this sequence too that are a precursor to dark times ahead in the game. Snake’s had (quite) a few bad days when you first begin the game. Once you’ve made your escape from the hospital the real meat of the game begins to present itself. The game presents the player with a number of missions in large open world areas that give you plenty of room to figure out the approach you need to complete your objectives. With the changing day/night cycle and weather conditions there is even opportunity to be stealthy and sneak yourself into some of the more heavily defended locations. Even if you end up shooting up everything and everyone, having the element of surprise early can work in your favour. The early missions also act as a tutorial to help you get acquainted with the other half of the game. 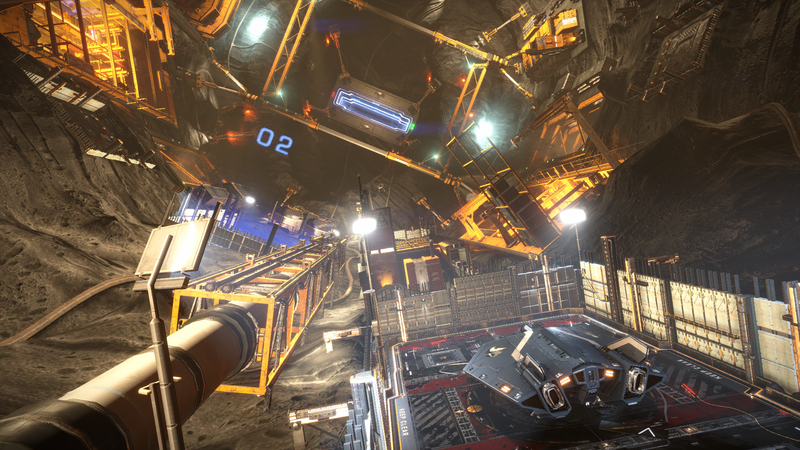 This “other half” involves collecting the resources you need in rebuilding your base of operations (known as Mother Base, lost in the last game). Collecting plants, finding materials and airlifting cargo will all help you in building up what you need for the base’s expansion. To aid you in collecting some of the larger items, you have access to the Fulton Recovery System (a real thing) which is hilarious to watch in action and even has some gameplay consequences as soldiers or animals hoisted away will make a noise that can be noticed by enemies close by. Taking the soldiers away is useful as they can be recruited into your organisation and become another resource for Mother Base where their skills can be applied to certain fields. Eventually they can even be sent out on support missions to help you gain additional resources on top of your own work within the game and can even fill in for Snake during the main missions too. The ability to collect resources during the course of the game is important as it can determine what assets you can have at your disposal at any time, from the weapons you are carrying to the support helicopter coming to pick you up. Everything has a cost. To further support you during missions, you’ll gain access to companions over the course of the game. They are varied in their use and capabilities and can give you a pile of options when you are on the ground. You start off with a horse (appropriately called D-Horse) who is a reliable mode of transport who and can travel through areas some vehicles can’t. Next is your faithful puppy D-Dog who starts off as a pooch with matching eye patch buy later can be decked out in full stealth gear. His ability to spot nearby enemies makes him useful in situations requiring stealth. And with the appropriate upgrades he can even stun targets or knife them, giving you an additional stealth kill option. Another companion that has not escaped anyone’s notice is the sniper Quiet who certainly raises a few eyebrows. Having a character combining American Sniper with Victoria’s Secret is likely going to do that. After capturing her in mission “Cloaked in Silence” (tip: S rank on it by only using non-lethal force such as a tranquilizer equipped sniper rifle) she can spot enemies much like D-Dog but is dangerous from a distance. I remember after first capturing her and visiting her cell on Mother Base I could hear the Hall & Oats’ song “Maneater” playing in the background – I have no idea if that is intentional or not but it’s one of those moments that make you pause for a second and wonder if the developers are deliberately messing with you. The thing I find so impressive about the game is just how much “game” there really is – the cinematics you come to expect from a Metal Gear Solid title are still present but they take a back seat to the game itself so unlike MGS4, you won’t have enough time to cook a roast during breaks in the game. I’ve spent about 20 hours on it so far to reach the 20% completion mark but I imagine a dedicated player might get through it in 30ish hours by cutting a lot of corners. If you are wanting to take your time though you are certainly going to get your money’s worth in just the campaign alone. 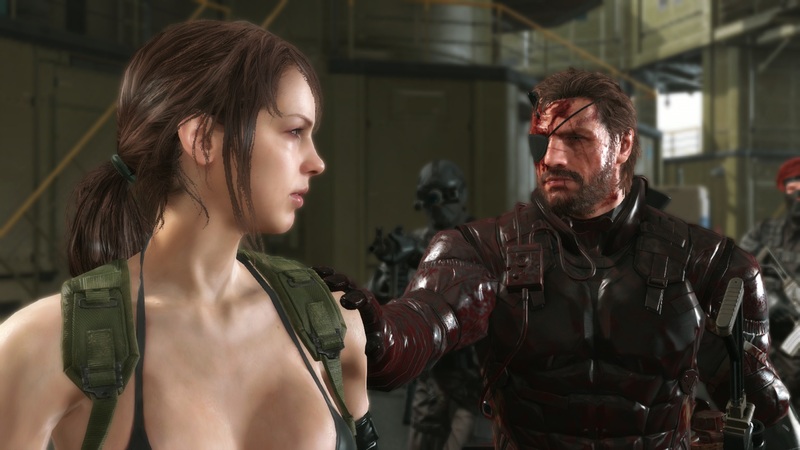 If you eliminate Quiet (left) when you first encounter her, you’ll miss out on a useful companion during the rest of the game. It’s fascinating to see the kinds of details that are included that many players may not even realise during the course of a game unless discovered by accident or found through online FAQs. Admittedly MGS has had a lot of these kinds of things over the years but having it apply to an open world title is just great. For example the cardboard box (your tool for hiding across many games) can be modified to further distract enemies or allow quick transit between areas. If you upgrade your Fulton to carry larger cargo you even hitch a ride on it for a quick trip back to base. Then there’s Snake who starts to get a little bloody and messed up over time during missions and if you don’t clean him up regularly he’ll start attracting flies! They’re not entirely necessary additions but they add a lot of personality to the game. Multiplayer consists of Metal Gear Online which seems like an evolution of the mode in MGS4 (which I admittedly didn’t play) and a mode where players establish a Forward Operating Base from which they can launch attacks on other players to gather additional resources, or have to defend their own. With so much to do in the campaign, you might not miss out on much from this part of the game. I’m feeling like I’m getting my money’s worth already. Visually the game looks great with detailed characters and some really impressive vistas. Even in the darkness as you’re approaching an enemy held village there is plenty to admire. It has one of the prettiest night skies you see too. Animation is comparable with a lot of neat touches that are appreciated. Watching D-Dog following your actions, including crouching as you are sneaking around, was really cool. It all runs at a steady frame rate too. He’s a dog with an eye patch and can kill dudes… Almost the most awesome thing ever. The audio within the game is strong and like the graphics it’s the little things that they put effort into that really make it work. One of the most heard sounds during the game is the sound of your helicopter and it never ceases to impress me just with the work done on those moments of you both entering and exiting with sounds dulled by closed doors or the whine of the engine. The soundtrack consists of a lot of music from the 80’s which can be found on cassettes scattered around the world and will cut in from time to time when at Mother Base or from radios in the combat zones. As mentioned earlier the timing of some tracks during the game can be hilarious. Movement and shooting controls are pretty good and consistent with many third person shooters. Sneaking and combat feel good and contextual pop-ups help keep you focused on the game and not a control mapping. However selecting items from your inventory, interrogating soldiers or ordering your companions can feel fiddly because of the odd controller combination of holding down a shoulder button and moving/clicking a thumbstick. Though the story benefits from the reduced length of cinematics, there is still a huge amount of history you might want to wade through to understand the significance of the events unfolding. This might be perfect for fans, maybe not so for those new to the franchise. Perhaps it will make better sense as I get further into it but I’ve also had part of the ending revealed to me and think that alone might be something worth talking about down the road. For what might be the last “real” Metal Gear title we are likely to see for some time, it’s a shame we’re also being reminded of what might have been for the future. As it stands this is an exciting game which if it draws you in will reward you with a lengthy campaign and plenty of memorable moments. Metal Gear Solid V: The Phantom Pain is out now for PC, Xbox One, PlayStation 4, Xbox 360 and PlayStation 3. Reviewed on Xbox One. I’ll admit that I don’t care much for the Metal Gear franchise and this one is no different to me. I never bothered to purchase this one and even though I can easily get it for around $15 I won’t. I’m going to save myself that headache :). I’m glad you feel like you got your money’s worth though. I was put off a lot by Ground Zeros which was WAY overpriced when it was released hence it taking me this long to get the game but I’ve been surprised with how much I’ve enjoyed it. Certainly not for everyone but was much better than I was expecting.